Recommendation technologies support users in the identification of interesting products and services. Beside the wide-spread approaches of collaborative and content-based filtering, knowledge-based recommender technologies gain an increasing importance due to their capability of deriving recommendations for complex products such as financial services, technical equipment, or consumer goods. The identification of best-fitting products is in many cases a complex decision making task which forces users to fall back to different types of decision heuristics. This phenomenon is explained by the theory of bounded rationality of users which is due to their limited knowledge and computational capacity. 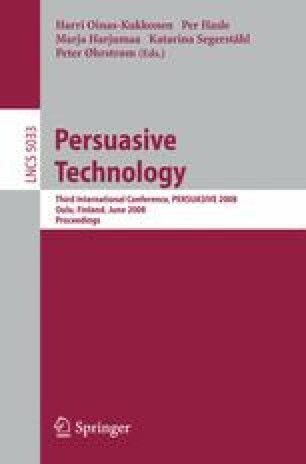 Specifically in the context of recommender applications bounded rationality acts as a door opener for different types of persuasive concepts which can influence a user’s attitudes (e.g., in terms of product preferences) and behavior (e.g., in terms of buying behavior). The major goal of this paper is to provide an overview of such persuasive aspects and possible formalizations in knowledge-based recommender systems.